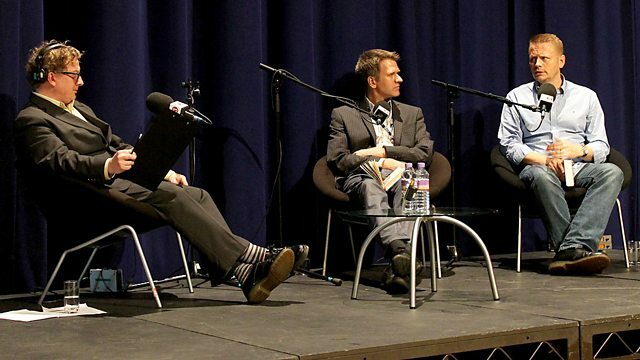 BBC Radio 3 - Free Thinking, 2013 Festival, Who's Got Hold of Children's Imaginations? Who's Got Hold of Children's Imaginations? Matthew Sweet presents a lecture in which author Patrick Ness and psychologist Professor Charles Fernyhough discuss the way children develop language, attachments and memories. In his "Chaos Walking" trilogy, Patrick Ness created a town where secrecy and privacy were impossible. Dr Charles Fernyhough's writing and research examines the development of childhood language and memories. In a discussion recorded in front of an audience at this year's Free Thinking Festival at Sage Gateshead, they discuss, with presenter Matthew Sweet, the way children cope in an unstable world and what stimulates young imaginations.